Choose peace of mind by letting our experienced team help secure the benefits you’re entitled to. Allen Webb Law has been protecting the rights of Minnesota workers for 30 years. We specialize in Minnesota Workers’ Compensation Law, Federal Workers’ Compensation Law, and personal injury cases. We handle claims at every level with winning results, from minor medical reimbursement claims to representing our clients in front of the Minnesota Supreme Court. We understand the stress and financial worries associated with being injured on the job or by someone else’s negligence. We know that seeking a successful claim is not merely about monetary compensation, it’s about getting your life back. Medical bills and loss of work can not only damage your way of life, it can have lasting effects on your home life, personal relationships, and self-esteem. Get to know the facts. View our video series on workers’ compensation claims. In addition to handling Minnesota Workers’ Compensation claims, Allen Webb is one of only a handful of practicing attorneys in the Midwest to handle federal workers’ compensation cases. Our team is highly experienced in handling schedule awards, denied claims, and OWCP appeals nation-wide. Speaking to an experienced attorney as early as possible is crucial to the success of your claim, especially if you’ve been seriously injured and are no longer able to work, or are incurring any medical expenses. If you have been injured at work and are not able to perform your customary work duties you may be entitled to professional vocational rehabilitation services to help you get back to work. You need not be a documented worker in order to receive Minnesota Workers’ Compensation benefits. No necesita ser un trabajador documentado para recibir beneficios de Minnesota Workers’ Compensation. Your wage loss payments by the workers’ compensation insurer are to be based upon your gross pay at the time of injury, including any overtime pay and income from a second job you had at the time of the injury. Contact Allen Web Law and let our experienced staff fight to ensure you are receiving the workers’ compensation benefits that you are entitled to. 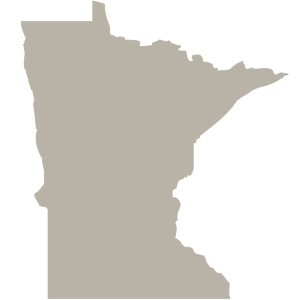 We support workers’ compensation and personal injury clients throughout all of Central and Southern Minnesota. We are conveniently located in Savage, MN – just minutes away from Minneapolis/Twin Cities area and easily accessible from Southern and Western Minnesota. We offer convenient appointments, including evening and weekends. If you are unable to meet with us at our offices, we will travel to you. Minnesota workers’ compensation attorney, Allen R. Webb, discusses the importance of hiring an experienced attorney if you’ve suffered a work-related injury. We assist our clients in all types of claims, big or small. We strive to achieve fair results for injury victims. If you need help recuperating medical expenses or lost wages due to someone else’s negligence, we can help. No fees due unless we recover for you.